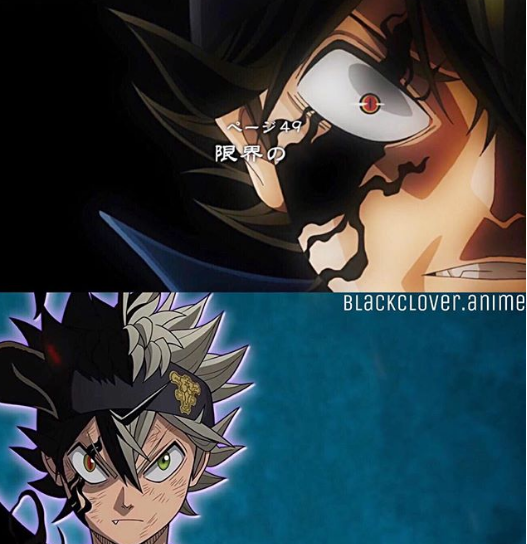 'Black Clover' anime transformation has officially confirmed it will continued behind its plan 51 episodes first season started in October and series bringing the new era with fascinate first visual . As the release part of trailer announcing at Studio Pierrot's continue to coming in Chrunchyroll, the new visual feature an Asta with Strange new transformation . The Ongoing Sea Bed Temple arc is closing out with the series first 51 episodes highlighted of final battle is drawing nearer as Asta, Finral & Vanessa make their last stand against the Eye Of Midnight Sun's Vetto. The appealing thing about this mysterious form but however that is only the Tease something interesting about the length of episodes add-on. The officially form dubbed "Black Asta" is sudden transformation that occurs in the following arc.This episode add on will at least encompass the sixth arc of the series 'Witch forest' whether it is add on is season long episodes at another arc worth of anime on the way. The fan also noticed that Thread of Witches Forest has been showed up as Vanessa Mentioned her past living in the forest in the latest episodes with the unwatchful &intense eye of Witches Queen,Vanessa was kept in birdcage her entire youth before becoming the member of Black Bulls.